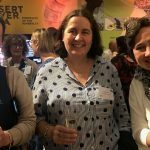 Last week online journal The Conversation published an article called “Lost for words: why the best literacy approaches are not reaching the classroom“, by Canberra education academic Misty Adoniou. She wrote in response to new Federal MP Alannah MacTiernan’s pro-phonics article in the Australian, which I blogged about here. OK, I thought, that’s not my experience, or my understanding of the research. How do you know that? Show me the evidence. It’s not hard to test whether a learner’s reading difficulties are due to decoding/encoding difficulties or specific language impairment. You just test phonemic awareness and nonword reading/spelling, and do a standardised language test. To my amazement, the article presents no evidence whatsoever to substantiate this claim. 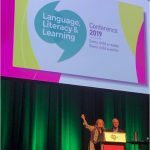 It then goes on to claim that low-achieving children don’t speak “School English” at home, they speak “a language other than English, or Aboriginal English, or a creole, or “bogan” English”, and that’s why they are failing. Teachers, Adoniou goes on, can recognise grammatical errors in children’s work but lack the grammatical knowledge to teach correct, Standard English grammar explicitly. Adoniou thus conflates spoken and written language, failing to recognise that spoken languages and dialects are naturally acquired by children through exposure, while written language is not. Unless they have a specific language impairment (see the RALLI campaign) or intellectual disability, little kids’ brains contain powerful spoken-language-learning equipment and only need a year or two of exposure to the Standard English used at school to grasp this dialect, whatever sort of English they speak at home. If they arrive at school with little or no English, it will probably take a bit longer. They don’t need to be taught about subjects, verbs and objects to understand their teacher, or learn to speak the way she or he does. Adoniou says teachers don’t know enough about grammar to teach it explicitly, which is probably true. However, she thinks teachers need to know more, so they can explicitly teach grammar to the child who writes things like, “My sister go to shopping on a car”. I think a child who started at an English-speaking school at age five, has attended consistently for two or three years, and still says as well as writes “my sister go to shopping on a car” probably has a specific language impairment. Yes, teaching teachers more about grammar would better equip them to help this student, but are the rest of the kids also supposed to do these grammar lessons, even when they don’t make such grammatical errors? It would be a lot more efficient to refer this kid to the school Speech Pathologist. However, Speech Pathologists are far too thin on the ground in schools, so lots of kids with specific language impairment are never assessed, let alone provided with therapy (see RALLI). Language errors or spelling code and punctuation errors? To me, this is not a problem sentence. Say it aloud. It sounds fine. Whoever wrote this notice never learnt to say “EN-sure” in their “spelling voice” when talking about making sure, and “IN-sure” when talking about insurance. They didn’t learn that the comma in “You’re” substitutes for the “a” in “You are”, and they probably put random letter ‘e’s at the ends of many words, because they haven’t been taught vowel spelling patterns properly. 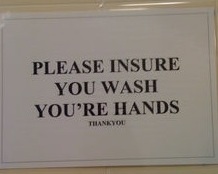 I think of these more as sounding-out/spelling/punctuation errors than language errors. The schools I work in are inner-city government schools with a high proportion of kids from public housing. 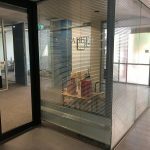 My students speak Tigrinya, Oromo, Somali, Arabic, Amharic, Chinese, Vietnamese, Korean, Lao, Thai, French, Spanish, Serbian and Broad Australian (bogan), American and standard Australian English at home. So do their class peers, who aren’t on my caseload. What the struggling readers/spellers referred to me do have in common is poor phonemic awareness and poor spelling pattern knowledge. I didn’t just make that up, I know it from their test performance. The reason so many kids lack skills in these areas is that they’re not adequately covered in the early literacy curriculum. Whatever their home language background, these kids start reading and spelling when they are given highly structured, explicit, systematic phonics teaching. Even the kids with specific language impairment and intellectual disability, and ones with significant memory issues, though they learn at a slower rate. Certainly having parents who can’t read or speak English is a disadvantage in learning English literacy, as they can’t read you English story books and aren’t going to be much help with your homework, but that’s no excuse. I don’t care if a child’s parents can’t read English, their home language, or if they speak a language like Sudanese Arabic, with no standard written form. It’s the school’s job to work out how to teach all kids to read, and do it, not blame the victim. A proportion of children have specific language impairment, often undetected, which is the underlying cause of their literacy problems. These kids have both poor phonemic awareness and phonics, and poor oral language. They need help in both areas. However, the problem most struggling readers I know face isn’t language at all, it’s literacy, and specifically cracking our opaque spelling code. They can have a conversation with you, and pass a language test, they just can’t get the words off the page. Later on, as they miss out on reading-to-learn, this starts to affect their oral language skills, but it’s not the root cause of the problem. 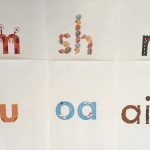 Beautifully written children’s literature is a wonderful thing, but doesn’t lend itself to the task of teaching children good phonemic awareness and spelling pattern knowledge, and thus the ability to crack the spelling code. 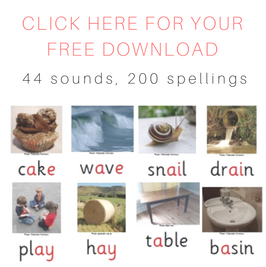 The fit-for-purpose tool here is good, well-planned and sequenced synthetic phonics activities, and the kids I work with both enjoy and succeed at these activities. This is consistent with the research. 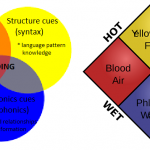 Adoniou says phonics is “bland and meaningless”, but I guess if you teach it badly enough, any subject can be bland and meaningless. The kids I work with regularly ask me in the hallway or yard, “am I working with you today?”, and if I reply, “yes” they say “Yay!”. Kids I don’t know approach me and ask if they can join my groups, because they’ve heard they’re fun and you play games and get stickers, and they’ve seen their classmates’ skills improve. If modern, inner-city kids with good oral language find an activity bland and meaningless, they soon tell you. 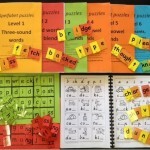 While children are learning the necessary decoding skills to be able to tackle beautifully written children’s literature independently, teachers and parents who are able should read this literature to the children, as well as having lots of conversations with them, thus helping develop their vocabularies and other language skills. I daresay Alannah MacTiernan read Misty Adoniou’s article and said “Ah, more postmodern claptrap” and moved on. Probably now it’s time the rest of us did likewise. This entry was posted in literacy problems, reviews, teaching strategies, theory on November 4, 2013 by alison. This is why my business exists. All of my students need to be explicitly taught the code of English to be literate. If you can't decode the words you can't read them. Eventually, we all 'remember' what most of the words look like and read them automatically. Initially, my students, who have not learnt the code of the language, just guess the words. This is not reading and does not serve them well. Thanks Alison for your continued efforts to explain this process.